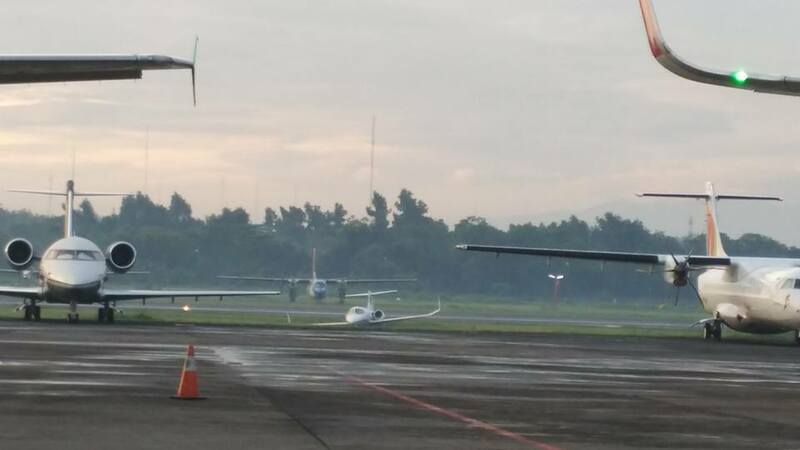 Some passengers were bused to Soekarno-Hatta International Airport (CGK/WIII) in order to catch flights from there while waiting for the runway to reopen. 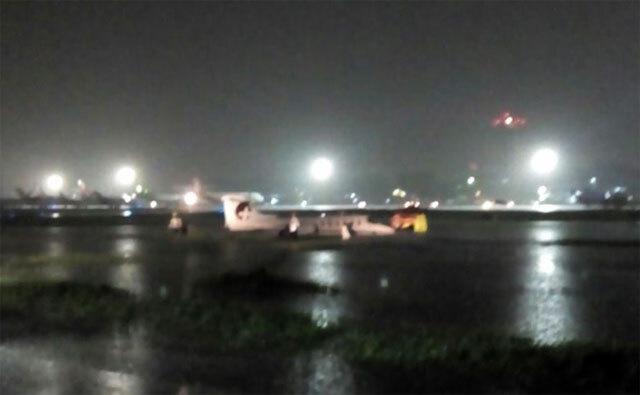 PK-JKI was operating a medical evacuation flight from Yogyakarta Adi Sucipto Airport (JOG/WAHH), and arrived in Jakarta area about 1 hour after rainstorms occurred. Various flights operated into Halim Airport on the ILS runway 24. 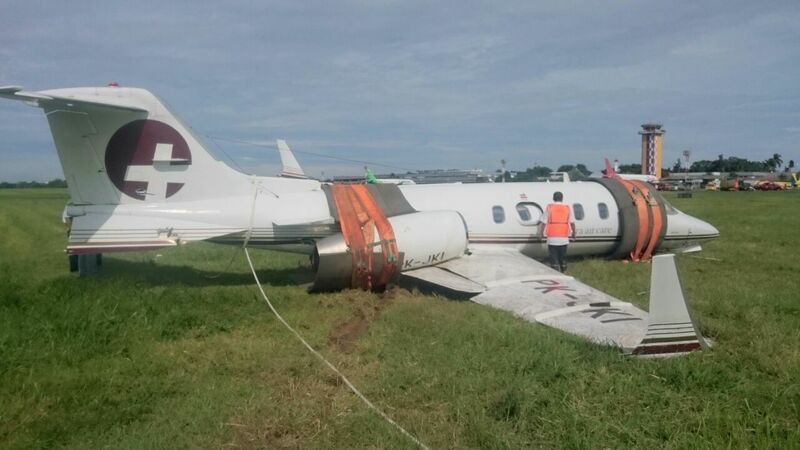 The Learjet 31 slid off the right-hand side of the runway and rested on the grass between taxiways Bravo and Charlie. The weather conditions at the time was 1000m visibility with winds at 8-13 knots (direction not reported). According to early reports, the aircraft contacted Halim at 1233Z, and commenced approach for ILS24 at 1244Z following a Batik Air 737 a few minutes ahead of it, and the weather information were relayed to the crew. At 1246Z the aircraft slid and the crew made a radio transmission just prior to skidding (likely inadvertently). The crash alert was immediately activated and fire and rescue as well as ambulances were immediately on scene. 7 persons were on board and were evacuated safely. This was later extended to 1545UTC in a follow up NOTAM. Prior to removal this morning. Damage to left wing suggest a ground contact at some stage near the landing. 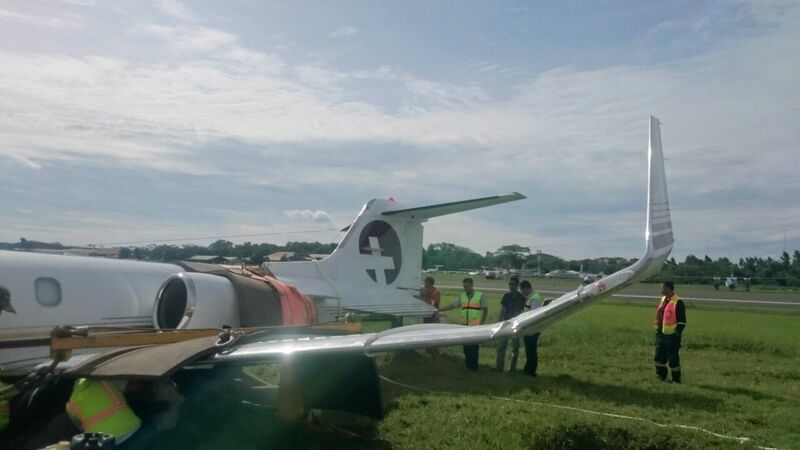 The aircraft was severely damaged with the right main landing gear absent from its position. The right-hand engine is also dislodged from its normal position. The most baffling is the damage to the left wing. How the aircraft bent the left wing and losing its right main landing gear, is something for the investigators to find out.